This race is for all levels of fitness…whether you’re an elite athlete, club runner, leisurely jogger (or keen walker) looking for a summer challenge, this event is for you. 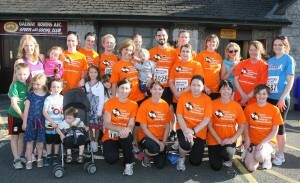 The race starts at the Claddagh and takes in many of the sights of Galway city…Spanish Arch, Quay St., the Druid Theatre, Eyre Square and Galway Cathedral. 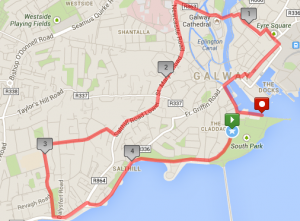 The course then takes you out towards Salthill, past Pearse Stadium and then back in along Galway Bay for the last 2.5km to the finish line at Nimmo’s pier. We hope you will consider joining us again this year and looking forward to meeting old and new faces on August 12th.